Just a quick post here. Another story on Legionnaires Disease. 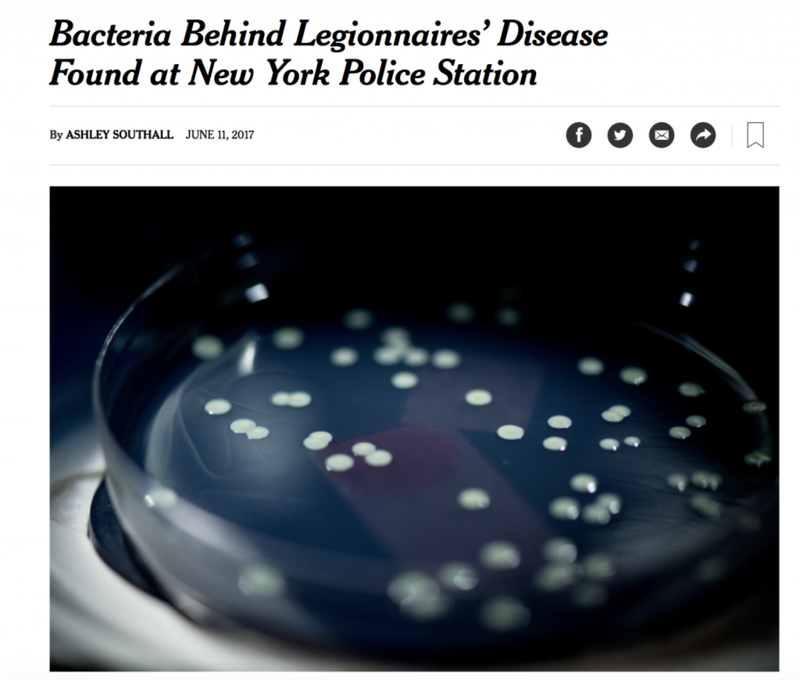 This time the bacteria behind it was found in the NY Police Station. Have there been any other cities that have experienced problems with Legionnaire’s disease reports?